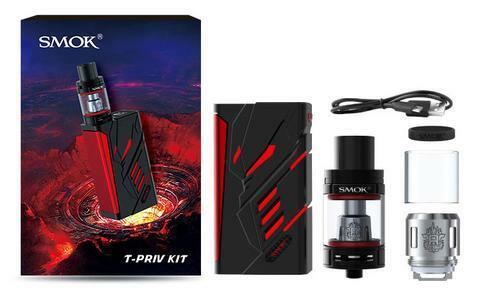 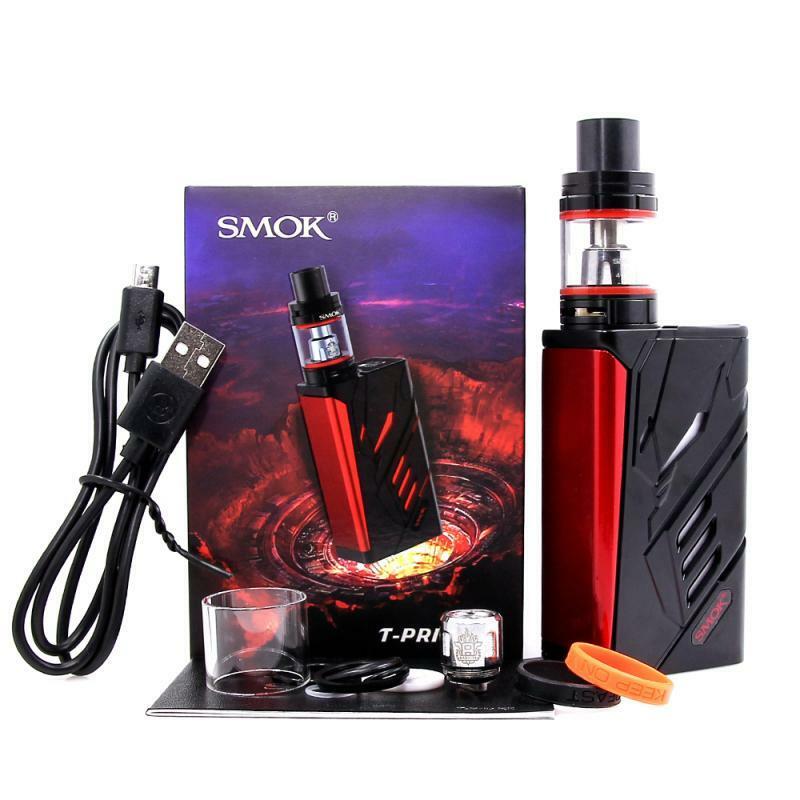 The Smok T-Priv Kit by Smok is a powerful 220W device paired with the TPD ready 2ml version of the Smok TFV8 Big Baby tank. 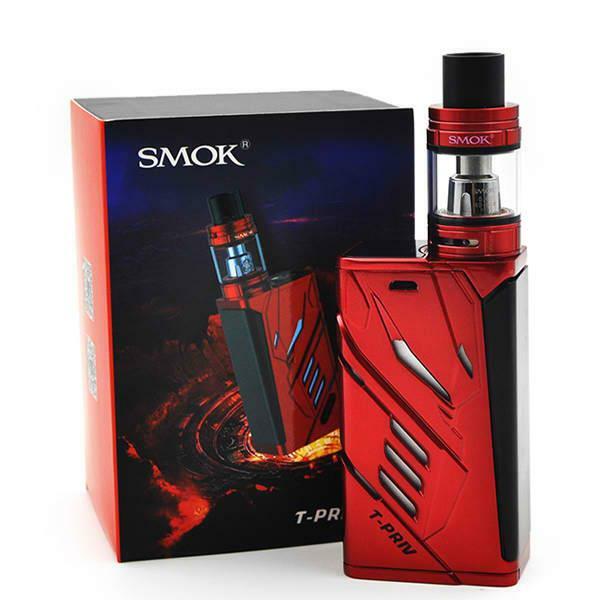 The T-Priv mod is capable of delivering up to 220W of power in variable wattage mode and up to 315C / 600F in Temperature Control Mode. 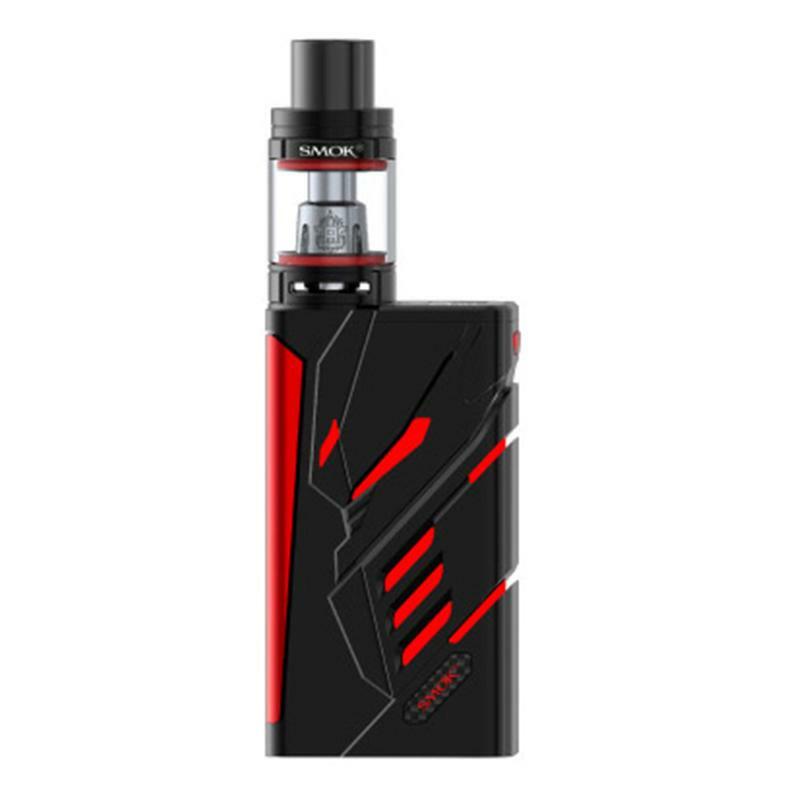 The back and sides of the T-Priv are adorned with RGB LEDs that can be customized to light up one of 9 different colours.